Cataracts are characterized by a clouding of the eye’s lens. This condition can occur at any age, but it is most commonly associated with the aging process. At the Byrd Eye Clinic in Detroit, MI, our skilled and experienced team explores cataract statistics so our patients can be well-informed about this common eye condition. We offer cataract treatment at our state-of-the-art practice. There are over five million people affected by cataracts in the United States alone. According to the National Institute for Science Education, there are around 400,000 new cases detected annually; that is approximately 45 new diagnoses every hour. 0.4 percent of age-related cataracts occurred in patients between the ages of 35 and 44. 2.33 percent of age-related cataracts occurred in patients between the ages of 45 and 54. 8.46 percent of age-related cataracts occurred in patients between the ages of 55 and 64. 30.89 percent of age-related cataracts occurred in patients between the ages of 65 and 74. 46.35 percent of age-related cataracts occurred in patients between the ages of 75 to 84. This trend has also been reflected in a number of other countries. For example, England’s Department of Health reported that the average age for individuals hospitalized with cataracts is 76. Cataracts are the leading cause of blindness worldwide. In fact, the World Health Organization estimates that approximately 19 million cases of blindness are the result of cataracts. Because surgery is typically the only option for cataract treatment, people in less developed or economically poor areas are more likely to suffer blindness due to the condition. In fact, about 85 percent of those affected by cataract-induced blindness live in the world’s most poverty-stricken countries. Globally, only 10 to 20 percent of all cataracts are removed, although surgical intervention could reverse the condition in about 95 percent of those cases. In contrast, out of the 5.5 million Americans with cataracts, only 43,000 are blind as a result. 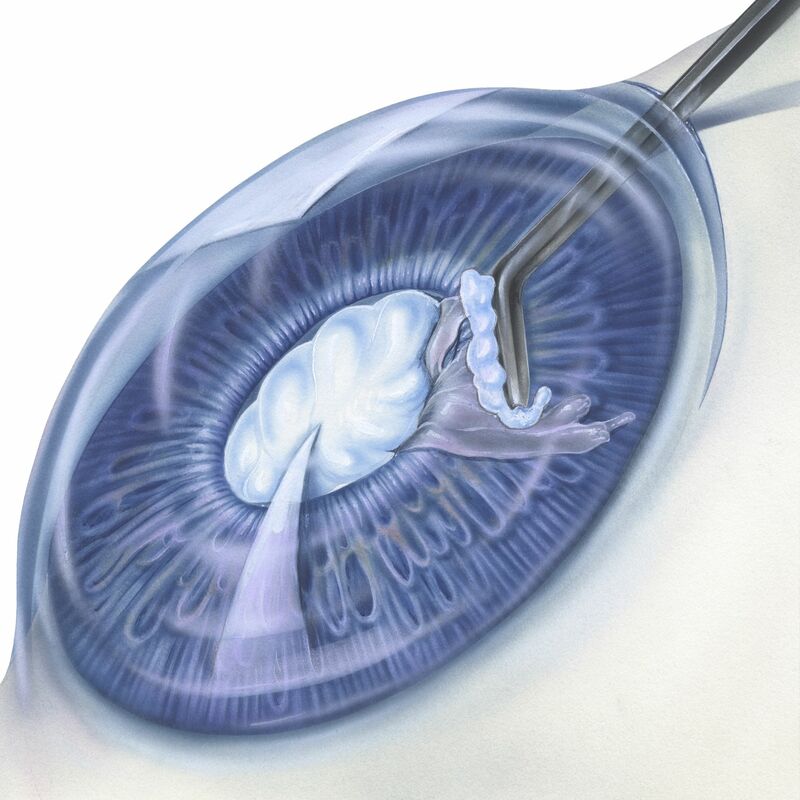 Surgery is usually the recommended treatment for cataracts. This procedure can typically be completed in about one hour in our office. After numbing your eye, a small incision is created. Next, the clouded lens of the eye is removed and an artificial lens, called an IOL (intraocular lens), is used to replace it. Following cataract surgery, your vision may be blurred for a few days, with improvement occurring just a few days after. Because cataracts dull your vision, most patients notice that colors seem much brighter after their treatment. If your vision is affected by cataracts, schedule an appointment at Byrd Eye Clinic to weight your treatment options. You can contact us online anytime or give our office a call at (313) 383-1300.